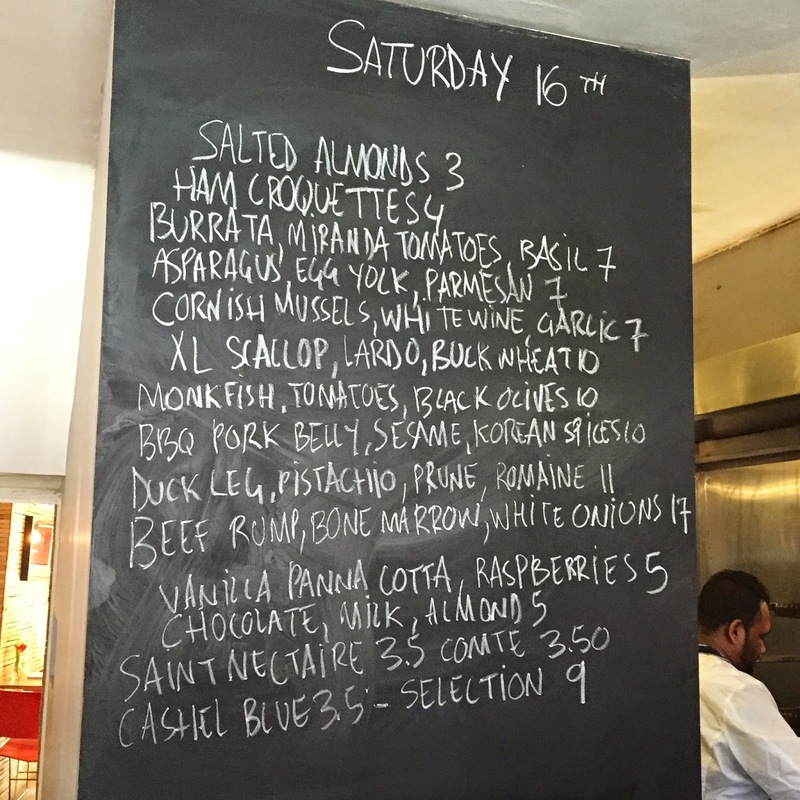 Last weekend my friend suggested lunch at Naughty Piglets in Brixton, I read a few great reviews and jumped at the chance. The restaurant has only been opened a couple of months and whilst Brixton has been undergoing a wave of gentrification the last few years I really can't complain about this simple yet smart wine bar opening. 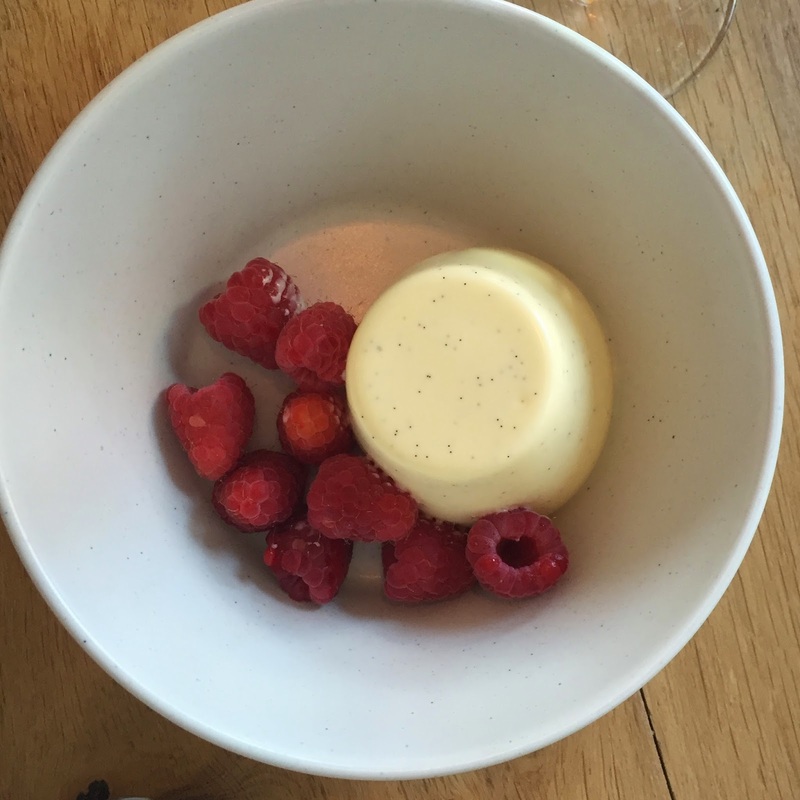 Headed up by husband-and-wife team the food is stripped back, seasonal and absolutely delicious. 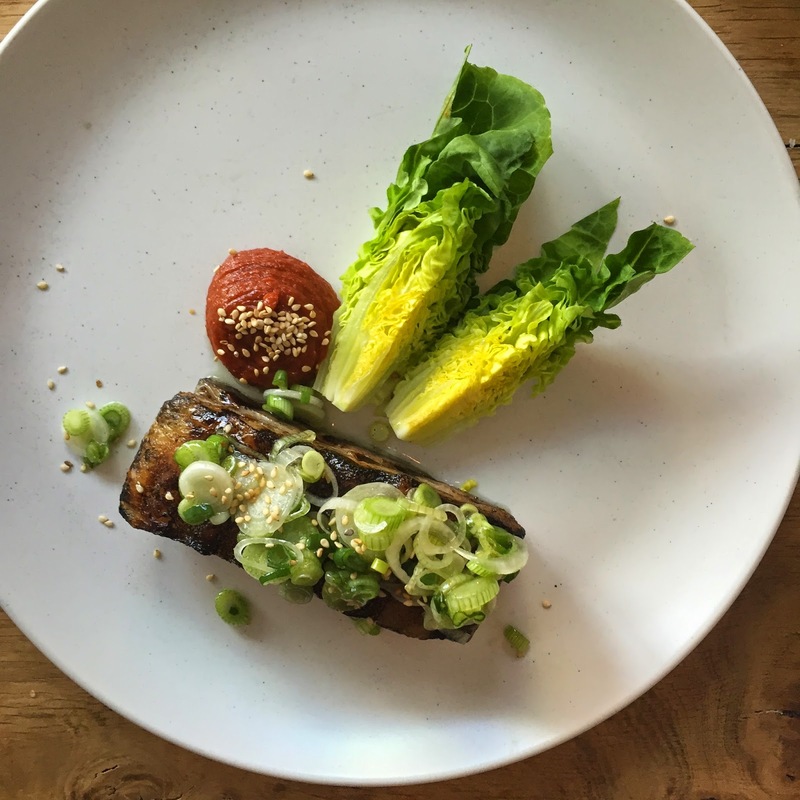 Husband, Joe Sharratt hails from Trinity in Clapham where his role as head chef has given him the confidence to open his own establishment. Wife, Margaux Aubry heads up the front of house, as she did in Trinity. A perfect match. The three of us ordered a selection of plates, being lunch time we didn't want to go too overboard which is a shame because there are so many wonderful options to choose from. 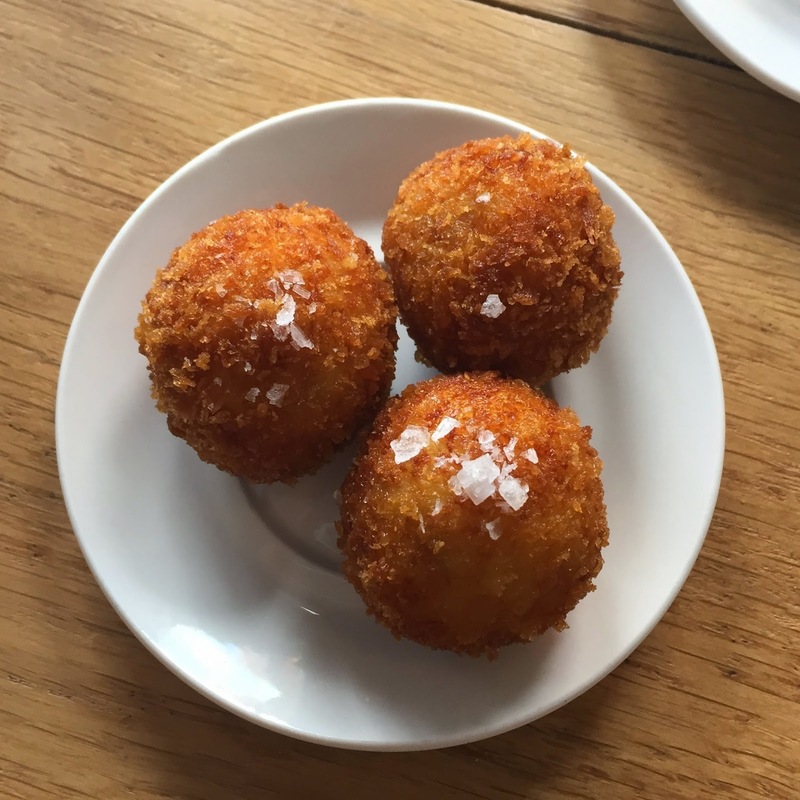 The ham croquettes were perfect, the coating was light and crispy with the centre remaining soft and cheesy with a smattering of ham. 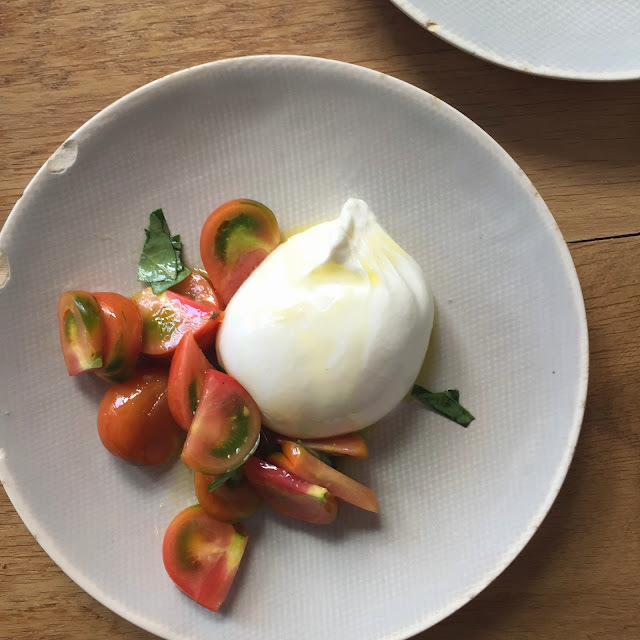 The burrata was so light and creamy it actually melted in your mouth, wonderful. The pork belly was succulent and rich with a crispy skin. The sriracha chilli paste was hot but combined with the BBQ meat, gave a nice Asian vibe to the meal. The lettuce wedge added a nice crunch. 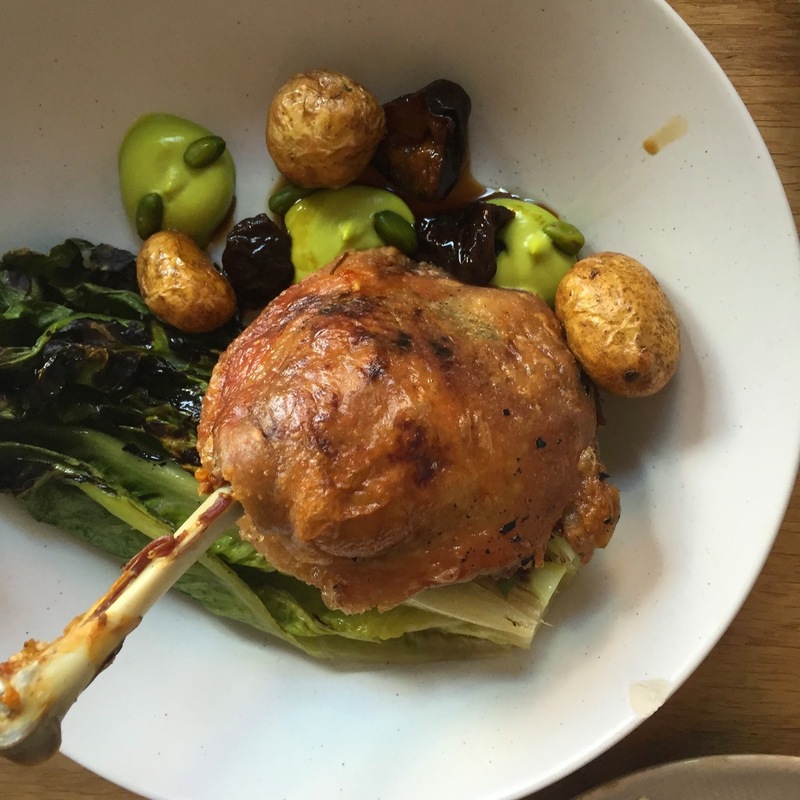 The duck fell away from the bone with the slightest prod of the fork, not quite confit but still tender and crispy. The pistachio paste was divine, rich in flavour but not overpowering. Same goes to the juicy prunes and slow roasted lettuce. 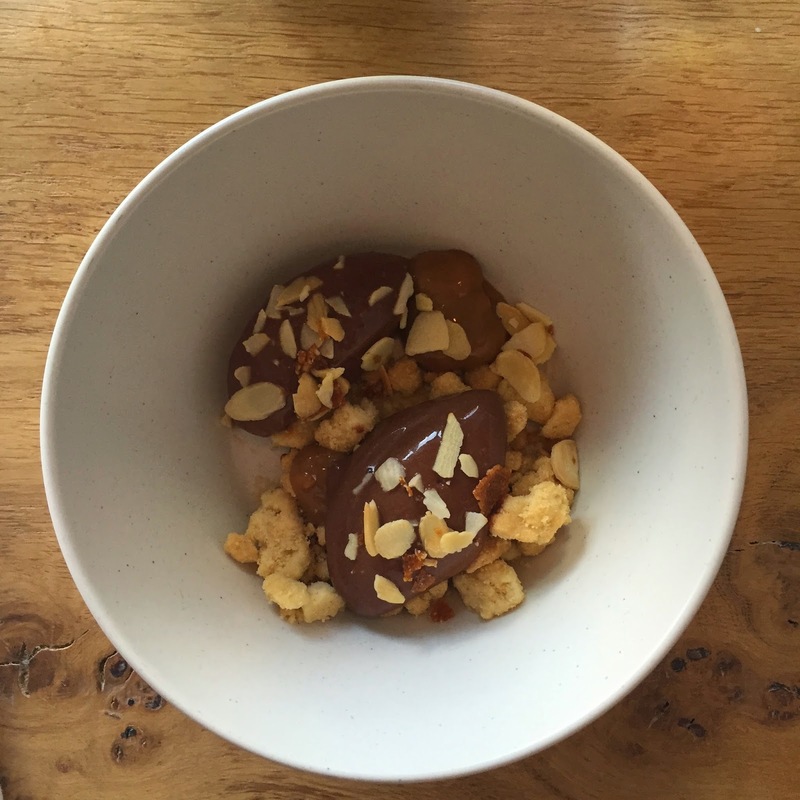 The chocolate mousse was rich and indulgent, the almond crisp added a nice textural contrast. The vanilla panna cotta was the winning dessert for me, cloud like in softness I always think of it as a more refined version of ice cream. Naughty Piglets was lovely, the sort of place you could spend a Saturday afternoon knocking back a great bottle of wine and picking a lots of different plates. It's a great addition to the Brixton scene, adding a touch of class to an otherwise casual area. Oh wow look at all that goodness! This looks so good! 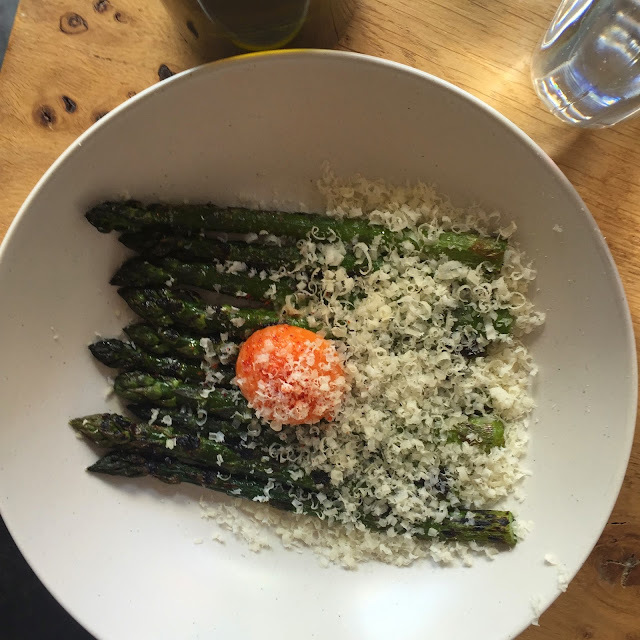 I think I need to try those asparagus! A lot of perfects there- it sounds like their food is heavenly! The asparagus looks so good! Absolutely delicious small plates with a wonderful wine selection. Sit at one of the bar counter seats to see the chefs in action!